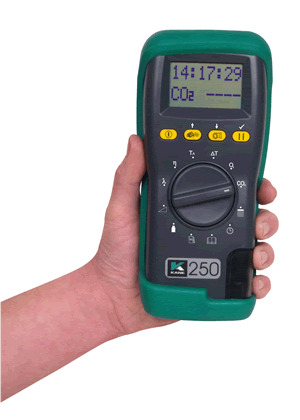 The KANE 250 is the lowest priced combustion analyser that does not compromise on performance or features. Its unique rotary switch also makes it the simplest and quickest to use. Flue probe, batteries, rubber sleeve with integral magnet, and instruction manual. Soft carry case, infra-red printer, NiMH rechargeable batteries and charger.